The Riverside EpiCenter, located in the Atlanta metro area, is a bustling event center that serves to inspire and empower the local community. The space spans a massive 113,000 square feet, containing the Bronner Center for the Performing Arts, a sound recording studio, and even a bowling alley and an arcade! Managing the flow of clients and customers in a space like this can be a challenge, especially because, as part of the compliance requirements for working with Bank of America, the EpiCenter is required to log their visitors and keep that data for 6 to 9 months. They tried using a paper visitor log, but that solution just wasn’t cutting it. That’s why Adam Ledgister, the EpiCenter’s AV and IT Manager, decided to seek out a virtual receptionist solution. “I don’t like paper,” says Ledgister, “so it was the perfect opportunity to find a cloud-based app.” He wanted a system that would allow them to track visitors digitally and was simple enough to be managed by others on the team. “I wanted to make sure it was easy.” For compliance purposes, they also needed printable visitor badges that included photos. After looking at a few digital visitor management options, Ledgister settled on The Receptionist for iPad, for a couple of reasons. First, it’s in the cloud and “it gives me everything I need in a lump sum.” Ledgister also appreciates that The Receptionist for iPad isn’t trying to take away anyone’s job. “Some of the other programs were cool,” he says, “but I like that The Receptionist isn’t so much replacing a receptionist as aiding a receptionist.” The results? So far, the EpiCenter staff, security team, and visiting clients all like the new system. For staff, the most important feature is the text and email notifications that let them know when clients arrive. For Ledgister, the best part is that the system lives up to its reputation of being easy to use. “I haven’t had to teach security to do anything except sometimes reset the iPad. They’ve never once called me to say a client can’t sign in.” In addition to the compliance benefits, The Receptionist for iPad has elevated the company’s brand image. “It’s given the EpiCenter a whole new level of perception when clients and customers come here. It’s an A+ for us.” Ledgister also appreciates The Receptionist’s Radical Support team for its dedication to going above and beyond to guarantee customer satisfaction. As a technophile, Ledgister is always looking for the next best thing when it comes to technology. That’s why he ordered the newest-of-the-new label printer. The printer was so new that The Receptionist software hadn’t yet been updated for compatibility. But that was no problem. “The customer service team put us into the Beta Program and gave me instructions on how to connect the printer long before the new release came out to the general public,” says Ledgister. “If I had to give them a number from 1 to 10, 10 wouldn’t be enough.” We’re delighted to support the EpiCenter in its mission of bringing extraordinary performances and experiences to the community of Atlanta. The next time you’re in Georgia, be sure to stop by the EpiCenter to take in a show, attend a fitness class, or even bowl a few frames. 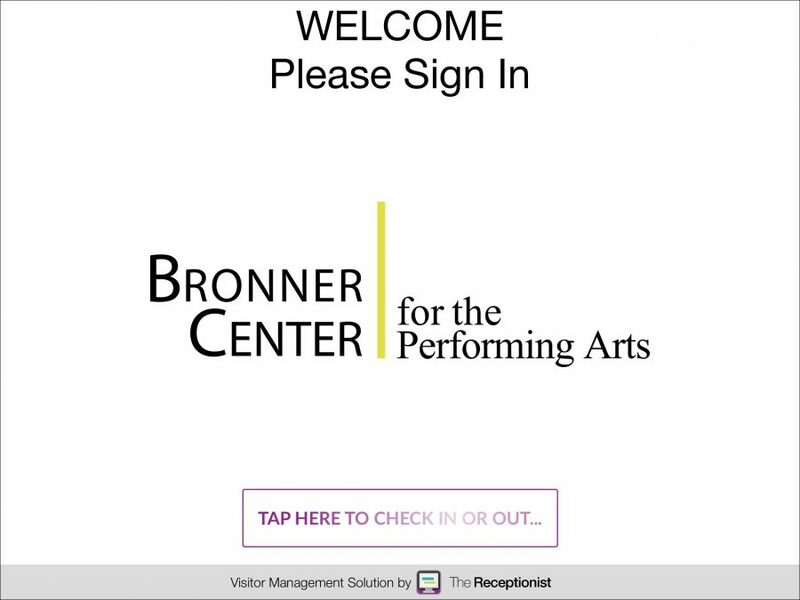 Are you ready to see how The Receptionist can help your business’s visitor management? Start here with a 14-day free trial. About the EpiCenter The EpiCenter, located in west metropolitan Atlanta, is becoming one of the premier mid-tier performing arts centers in the Southeast with growing national reputation. True to the spirit in which it was created- through fitness, bowling, climbing walls, youth programs, arcades, meeting rooms, and more – the EpiCenter is initiating projects that inspire people and empower communities. We invite you to peruse the innovative offerings and begin envisioning the EpiCenter becoming part of your story.